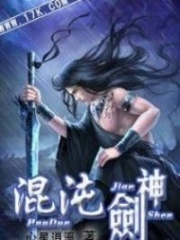 You’re reading novel Chaotic Sword God Chapter 1744 online at LightNovelFree.com. Please use the follow button to get notification about the latest chapter next time when you visit LightNovelFree.com. Use F11 button to read novel in full-screen(PC only). Drop by anytime you want to read free – fast – latest novel. It’s great if you could leave a comment, share your opinion about the new chapters, new novel with others on the internet. We’ll do our best to bring you the finest, latest novel everyday. Enjoy! The skinny man's face became even more sunken when he heard Jian Chen's naked provocation. Cold killing intent had already appeared in his eyes. Ling Hougong looked at Jian Chen. Although Jian Chen's comprehension of laws had reached the level of OverG.o.ds, his personal cultivation was just too weak. On the other hand, the skinny man had reached OverG.o.d in both comprehension and cultivation. Even if Jian Chen had comprehended the Laws of the Sword, which was one of the laws with the greatest offence, Ling Hougong still did not believe that Jian Chen was the skinny man's opponent. However, Ling Hougong had nothing to say when he saw Jian Chen's confident bearing. He backed off to one side with his sword; he also wanted to see just what Jian Chen possessed that allowed him to not fear the skinny man. Master Chanlong, along with the several dozen OverG.o.ds present, all remained silent. However, without any exception, their rather sharp gazes were all focused on Jian Chen. Many people believed that Jian Chen had managed to comprehend laws far greater than his personal cultivation due to some fortuitous encounter in the dwelling. However, they did not want to take the lead in the matter, so they were more than happy for the skinny man to attack Jian Chen. Unless they were forced to, they really did not want to offend an OverG.o.d so easily, especially one who had comprehended the Laws of the Sword that were known to be one of the laws with the greatest offence. Of course, there was another reason why they did not want to fight; they had not seen something that interested them. Once something that would be extremely beneficial to them appeared, they would be willing to throw their lives on the line even if there were others at a higher level of cultivation altogether, let alone just people who had comprehended the Laws of the Sword. 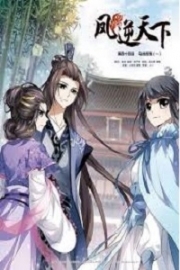 The young man with a fan and the middle-aged man referred to as uncle Qin made their way into the G.o.dking's dwelling leisurely, walking behind everyone else. The young man looked around the entire way as if he found everything around him interesting. "Is this G.o.dking Duamu's dwelling? Why doesn't it seem impressive at all?" The young man looked around and said with some disappointment. The middle-aged man remained silent. However, when he gazed into the depths of the dwelling and saw Jian Chen, a gleam of light actually flashed through his indifferent eyes. "The comprehension of an OverG.o.d, but only the cultivation of a Deity. What great talent. However, the energy he uses seems to be rather strange, which even seems blurry in my eyes. He does not practice a regular cultivation method," uncle Qin murmured. "Uncle Qin, are you talking about that person called Jian Chen? Since even you've described his talent as great, he really should be talented. I wonder how long he has been cultivating for," the young man said leisurely as he fanned himself gently. Uncle Qin became rather stern. In the end, he could not help but sigh in amazement, "Young master, I feel that this person has been cultivating for less than a thousand years. It's the first time I, Qin Zheng, have seen a talent like this." The young man paused when he heard that. He stared at uncle Qin in shock and said in disbelief, "What! He has been cultivating for less than a thousand years? Doesn't that make his talent even greater than mine? Uncle Qin, are you certain?" "With the great disparity between our cultivation, there are a lot of things I can see through with a single glance, so there's nothing wrong with it. He has been cultivating for an even shorter time than you, young master," said Qin Zheng. The young man immediately beamed. He said, "I heard that he's an independent cultivator before, without any clans or sects behind him. Uncle Qin, we have to rope in this person. It'll be best if he joins our clan." Uncle Qin's eyes shone brighter and brighter. He immediately expanded the senses of his soul and swept through all the regions that had lost their formations in the dwelling. He had naturally captured the Sword Comprehension Building that Jian Chen had been in before. However, not a single OverG.o.d present had sensed uncle Qin's senses of the soul, including the few late OverG.o.ds. In just a single moment, uncle Qin discovered that Jian Chen and the others had spent quite some time in the Sword Comprehension Building through a few traces left behind. He immediately became even more joyful and said, "Looks like he comprehended his Laws of the Sword in the Sword Comprehension Building. The mark that Duanmu left in there isn't anything impressive, so benefiting from it is nothing easy. However, Jian Chen managed to break through to OverG.o.d just through the mark. What a great affinity for comprehension. It would a great service to the clan if we really do rope him in." "Since we want to rope him in, why don't we hurry? Jian Chen is in trouble right now. It's a good opportunity for us," the young man with a fan said eagerly. "No hurry. There's no need to hurry. We can see his strength in the meantime," said Qin Zheng. On the other side of the group, the skinny many had already begun moving. He wielded his spear as the Laws of Wood condensed from the surroundings, stabbing towards Jian Chen with the power of laws. The skinny man did not hold back with his attack. His gaze was cold, directly stabbing towards Jian Chen's forehead to kill him. A gleam of cold light flashed through Jian Chen's eyes as well when the skinny man stabbed out. With a thought, two finger-sized strands of Profound Sword Qi appeared. They radiated with powerful sword intent, immediately making the expression of over half of the OverG.o.ds present change. Even the eyes of late OverG.o.ds narrowed. Everyone's face changed at that moment. All their attention was focused on Jian Chen, or more accurately, the two strands of sword Qi above Jian Chen's head. The two tiny strands threatened all of them. The weaker they were, the stronger the sense of threat they felt. The skinny man's face changed drastically. Without any hesitation, his hand tremored, and he struck out with even more power than before. With a flash of silver light, one of the sword Qi above Jian Chen's head shot out. It moved extremely quickly, having surpa.s.sed the speed of lightning; it collided with the skinny man's spear. A deafening sound rang out from the clash. The skinny man only felt a great force directly knock his spear aside while his Laws of Wood were directly dispersed by the sword Qi. The Profound Sword Qi had nullified his attack easily. It did not just stop there. After smas.h.i.+ng through the skinny man's attack, the Profound Sword Qi remained just as powerful before, continuing onwards with the same sword intent that terrified the OverG.o.ds. It directly shot towards the skinny man's forehead under his shocked gaze. "No!" The skinny man bellowed out in fear. He was completely unable to dodge the incoming sword Qi. All he could do was watch it expand as it neared him and approached his forehead. Silently, the Profound Sword Qi shot through the skinny man's forehead and emerged from behind. The skinny man's gaze became stunned. Fear lingered in his eyes. His soul had not even been able to escape before the Profound Sword Qi, and it was directly wiped out on the spot. 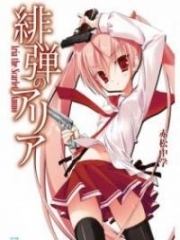 You're reading novel Chaotic Sword God Chapter 1744 online at LightNovelFree.com. You can use the follow function to bookmark your favorite novel ( Only for registered users ). If you find any errors ( broken links, can't load photos, etc.. ), Please let us know so we can fix it as soon as possible. And when you start a conversation or debate about a certain topic with other people, please do not offend them just because you don't like their opinions. You're reading Chaotic Sword God Chapter 1744. This novel has been translated by Updating. 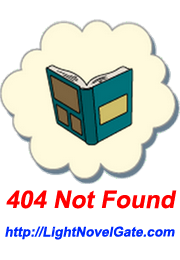 Author: Xin Xing Xiao Yao already has 1577 views. Current Time is Apr-23-2019 00:38:41 AM.